Home / FrontPage / News / Five things you need to know about 2019 "All Nations' Holy Pilgrimage to Odo Owa"
Five things you need to know about 2019 "All Nations' Holy Pilgrimage to Odo Owa"
The stage is set for the 2019 edition of the annual 5days "All Nations' Holy Pilgrimage to Odo Owa" programme organized by Christ Apostolic Church Worldwide. CAC NEWS brings to you five facts you need to know about the annual spiritual fiesta. 1. 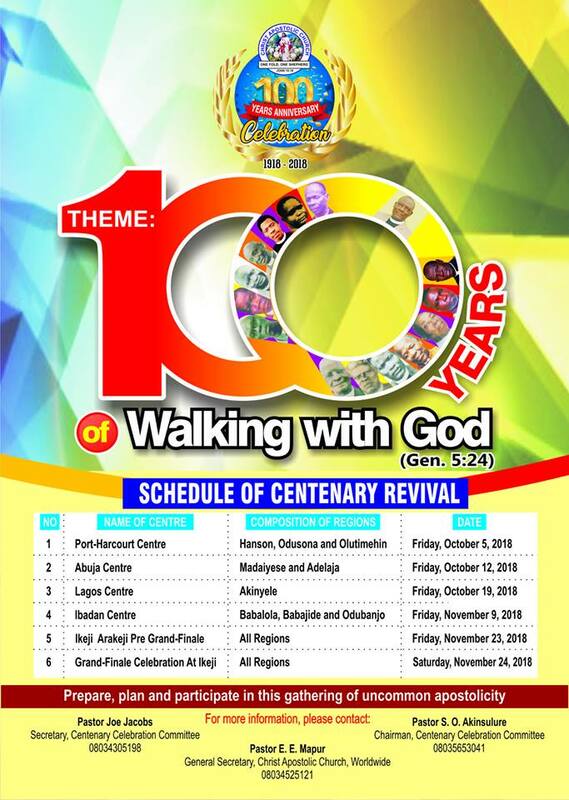 This year's edition is the 10th: 2019 "All Nations' Holy Pilgrimage to Odo Owa" is the 10th edition of the programme. 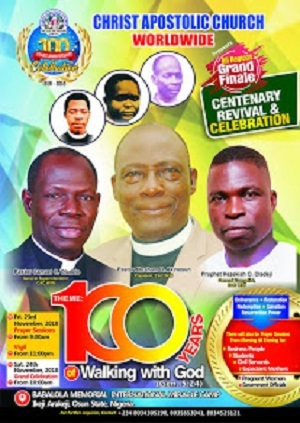 The programme started in the year 2009 when Prophet Samuel K. Abiara was the General Evangelist of Christ Apostolic Church Worldwide. The Zonal Superintendent of CAC Transfiguration zone, Pastor Emmanuel O. Odejobi, CAC Ilorin DCC Superintendent, Evang. Toluwase Emmanuel Akeredolu and CAC Amuwo Odofin DCC Superintendent, Pastor Joe Jacobs are among guest ministers for the programme. Though he has been attending the programme before becoming the General Evangelist, this year's edition will be the second edition Prophet Hezekiah O. Oladeji will attend as the General Evangelist of the mission. 4. Seminar for all Ministers: This year's edition provide a platform of refreshing for ministers of God in the mission. A seminar will be held purposely organized for spiritual empowerment and enlightenment for ministers. 5. The holds this month: This year's edition will hold from Monday February 18 to Friday February 22, 2019 with the theme "There is Still Hope For You."